A number of sites for house building have been identified in Standish and are at different stages in the planning and construction process. Here is brief outline of how these plots were chosen to be developed, how it was dec ided they should be built on and where they are in the planning process. All the developments are scheduled to be completed before 2026 with some expected to be finished before 2022. The final number of homes will vary slightly as the amount sought by developers can change during the planning process. The vast majority of homes which will be built in Standish are on greenfield sites in areas of land designated by Wigan Council in the 1980s as land ‘safeguarded for future development’. This means the land was kept aside for housing if it was decided that new homes were needed. No homes are currently planned in Standish for ‘Green Belt’ land – which are usually areas separating existing communities, such as the land between Standish and Shevington. Wigan Council’s original proposed Local Plan Core Strategy – a plan for the use of land until 2026 – suggested that no new homes should be built on land safeguarded for development in Standish due, primarily, to the inadequate road system and few opportunities to improve it. However, in summer 2013, a planning inspector, appointed by the government to look at the Core Strategy, ruled that approximately 1,000 homes should be built on this ‘safeguarded’ land and said Wigan Council should draw up an infrastructure strategy to achieve that. The Core Strategy was adopted and, in November 2013, Wigan Council published a report – Standish Infrastructure Assessment (which you can find in the Information section of this website) – detailing what improvements across the village were needed to make sure Standish could cope with that additional housing. During the first half of 2014, private house building companies submitted planning applications and a number were given outline permission to build, totalling 1,044 homes. Two applications, totalling 360 homes, were refused as Wigan Council said it had reached the limit of new homes agreed in the Core Strategy. The companies took these decisions to appeal and another government planning inspector overturned these decisions and allowed outline permission for the two sites. Two further applications for outline permission for a total of 208 homes – which would breach Wigan’s local plan – were received by the council in November and December, 2015. One for up to 80 homes off Langham Road was eventually passed by the planning committee and a plan for up to 128 homes off Rectory Lane was passed on appeal by a government planning inspector. Also, 148 homes were agreed separately for a significant proportion of Bradley Ha ll Trading Estate (pictured). As this land was already developed for employment and classed as ‘brownfield land’, it is in addition to the ‘approximately 1,000 homes’ on safeguarded land. Outline permission was granted for this site early in 2014 and the site was bought by Homes England which submitted another application in early 2018 for 163 homes. In the planning process, two types of permission are needed for housing developments, ‘outline’ and ‘detailed’, also called ‘reserved matters’. Sometimes these are taken together but, more usually with larger developments, ‘outline’ is agreed first with ‘detailed’ following on. ‘Outline’ permission establishes the principle of building on the land and usually what the access arrangements will be. ‘Detailed’ covers every detail of that development. As of April, 2018, a total of 1,770 homes (1,605 on Safeguarded Land and 165 on brownfield land) have been given outline or full permission to be built in Standish since the beginning of 2014, with a number of sites under construction and some homes occupied. In October, 2016, Greater Manchester’s Combined Authority announced a region-wide development plan – Greater Manchester Spatial Framework (GMSF) – which included proposals to build 220,000 new homes up to the year 2035. The plan proposed to build some of these homes on ‘Green Belt’ land – areas protected from development – usually greenfield sites. No green belt sites were proposed for development in Standish. 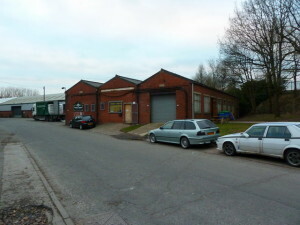 One site, at Rectory Farm, on Rectory Lane, was proposed to be put into the green belt as part of the GMSF, one of only three such sites in Greater Manchester. A planning inspector has since given permission for 128 homes to be built on the site. The plan is now being revised and it is believed other developers will want to change it to allow building on Standish’s Green Belt. A revised GMSF plan is due in June, 2018. As part of the prepration of the GMSF landowners or developers were asked to submit sites to be considered for housing development in the ‘Call For Sites’ exercise across Greater Manchester. A number of sites were proposed in Standish and you can see a map of those sites here. Land behind Almond Brook Road. Known as the ‘Cat I’ Th’ Window development’ this has full permission for 300 homes and is being developed by Wainhomes. A detailed planning application was approved for 298 homes and work is underway. Land behind Pepper Lane and the Robin Hill estate. Bloor Homes has full permission for 300 homes. A detailed planning application was passed in January, 2016. Construction is now underway. Bloor Homes has indicated that it wants to increase the number of homes to around 350 on the same area of land. A revised planning application was submitted in October 2017. Land at the former golf course on Rectory Lane (Phase One). Known as the ‘Rectory Fields’ development, Morris Homes and Persimmon Homes has full permission for 250 homes on both sides of Rectory Lane. A detailed planning application was given approval in January, 2016. Construction is underway. Land at the former golf course on Rectory Lane (Phase Two). The same company had its application for a further 250 houses next to this site, off Cranleigh, refused by Wigan Council but took this to appeal. It won that appeal with an extra 250 homes allowed by the government planning inspector. A detailed planning application was submitted in August 2016 and agreed in March 2018. Land to the north of Rectory Lane. On the other side of the road to the golf course, this site is now known as ‘Barrowcroft Green’. Countryside Properties has full permission for 150 homes. Work is underway and the development is expected to be completed during 2018. Land off Old Pepper Lane. Known as the ‘Stone Brook’ development, Redrow homes has full permission for this site and construction is almost complete on 39 homes with most already occupied. Land at Bradley Hall Trading Estate. Outline permission to build 148 homes on this former employment area was granted in 2014. Clearance of this site is complete and the site has now been sold to the government agency Homes England. A new outline application for 163 homes was submitted in January 2018. Land at Almond Pastures, off Almond Brook Road. A private developer, Mr A Taylor, had full permission for five homes, now occupied. 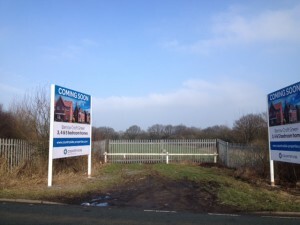 Land off Lurdin Lane, Chorley Road. Jones Homes appealed Wigan Council’s decision to refuse outline permission for 110 homes on this site. A planning inspector overturned the refusal and allowed outline permission for the site. A detailed planning application was submitted in August 2016 for 93 homes and this has yet to be determined by the local authority. Land off Langham Road. Wainhomes applied for outline planning permission for up to 80 homes on a triangular plot of land between its proposed Cat I’ Th’ Window development, Langham Road and Foxglove Close, off Primrose Lane. It borders ‘The Line’. Wigan Council’s planning committee agreed to a revised application for this scheme in January, 2017 and a further revised plan in January, 2018, even though it breached Wigan’s Local Plan. Land on the site of The Crown Hotel, Worthington. An outline application has been submitted to demolish the pub and build about six homes on the site, which is in Green Belt. The application has not been determined. Land at the site of the former Ambulance Station, Glebe Close. A small developer applied for outline permission to build up to nine homes on this site. It is brownfield (previously developed) land. Outline plans have been passed by Wigan Council’s planning committee. Land at former Chinese Delight restaurant, on Preston Road. A builder has submitted an application, which was later amended, to demolish the disused restaurant and build 23 apartments. Apart from these sites, there are other sites in Standish of ‘safeguarded’ land which could accommodate about 500 homes. Wigan Council should only consider these being developed after 2026, although house builders can seek permission to build on them and take any refused application to appeal.